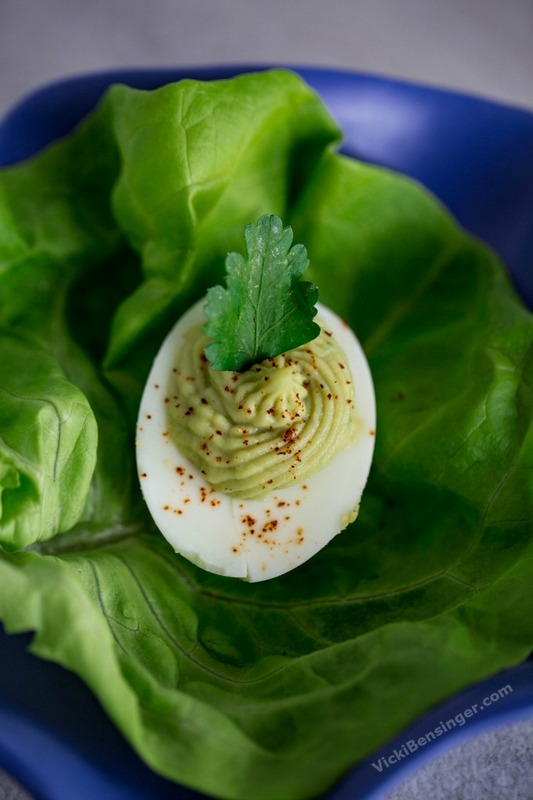 What better time to share a recipe for Deviled Eggs than just weeks before Easter! I love Deviled Eggs and have to say I’m certain my mom makes the best ones on the planet. 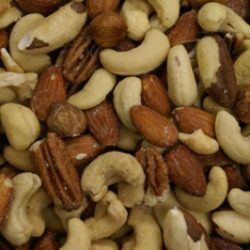 I’m not one to go changing tried and true recipes but thought it might be fun to add a little bit of a twist to her recipe – making them healthier with the addition of Avocado. Truth be told, I’ve never been a fan of hard-boiled eggs but Deviled Eggs I could eat 4 – 5 in about a minute, and still crave more. Egg yolks oddly give me a stomach ache when I eat the whole egg scrambled, but not sunny-side up or Deviled – go figure! 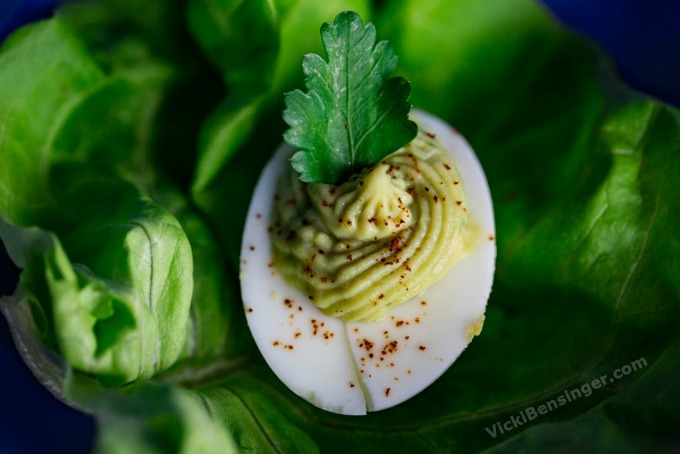 Before you make Deviled Eggs it’s a good idea to know how to prepare the best hard-cooked or hard-boiled eggs. More importantly if you’re making hard-boiled eggs and simply slicing them in half to serve guests, you want to insure they’re perfectly yellow without a green rim around the outer edge of the yolk. 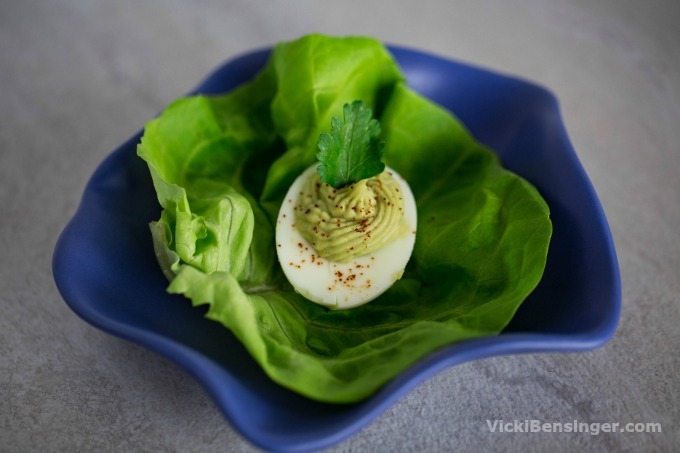 Check out an older post of mine on Perfect Hard-Cooked NOT Hard-Boiled Eggs to learn how. 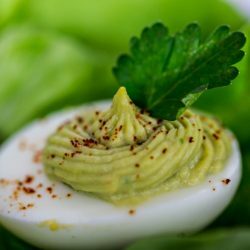 Avocado Deviled Eggs are a new twist on this classic recipe, making them even better and healthier! Cut hard-cooked eggs in half lengthwise. Remove yolk and place in a food processor. Cut avocado in half, remove pit and scoop out flesh. Add flesh to yolks. Add remaining ingredients except salt, pepper, cayenne and cilantro. Blend until smooth. Taste and adjust seasonings with salt & pepper. Using a pastry bag with a decorator tip or plastic zip-lock bag (snipped at one corner) pipe into cavity of egg whites. 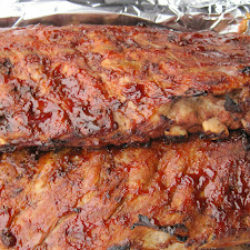 Garnish with a sprinkle of cayenne and sprig of cilantro. Serve. 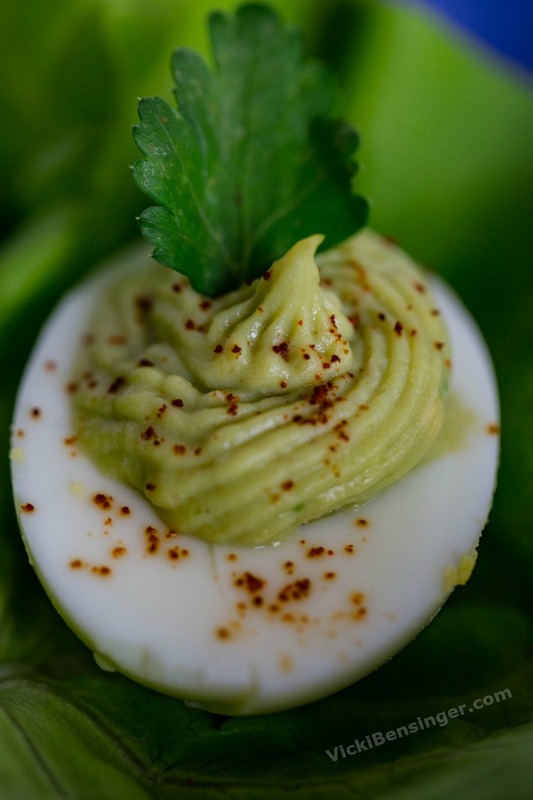 Note: If you're not a fan of avocado then omit that and use this recipe for regular Deviled Eggs. Those are beautiful. What a lovely idea for Easter eggs. 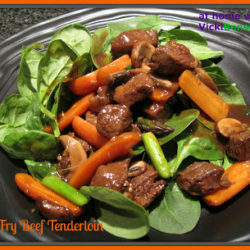 It’s a fun twist and compliments the already tasty deviled eggs. I bet these are ultra creamy!!! 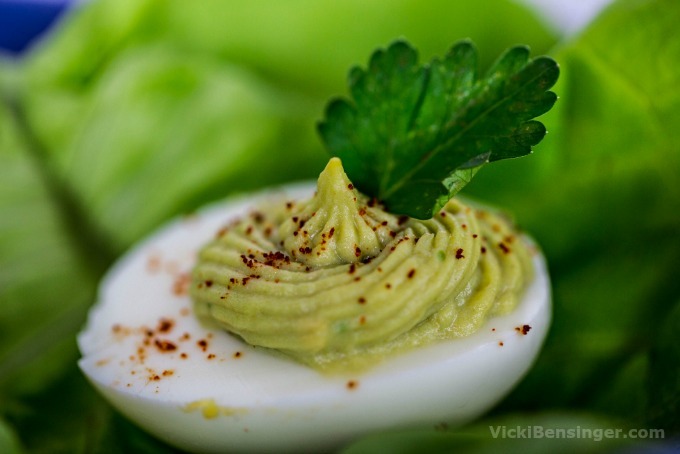 I’m with you on deviled eggs—so yummy! I’m a sucker for good deviled eggs. 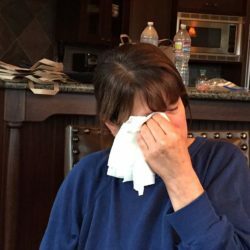 I literally can down quite a few in a matter of one minute – it’s bad! Love deviled eggs! Never thought to include avocado in the filling, however — really neat (and tasty!) idea. Thanks! It’s a fun and healthy twist. Glad you like it. Wow what a terrific idea! I need to try this because we’re a deviled egg loving family. Thanks! I hope you do try it. Let me know what you think. Sounds wonderful Vicki! I love the addition of avocado to hard boiled eggs. It makes them look so pretty too! I agree. It’s a pretty shade of green and tasty too!